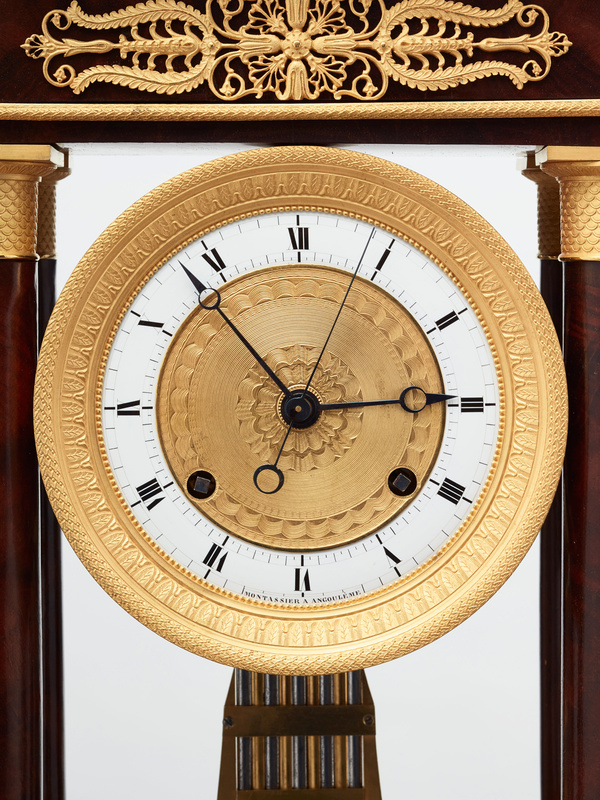 The clock movement is suspended from a portico within four pillars. 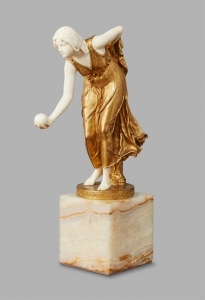 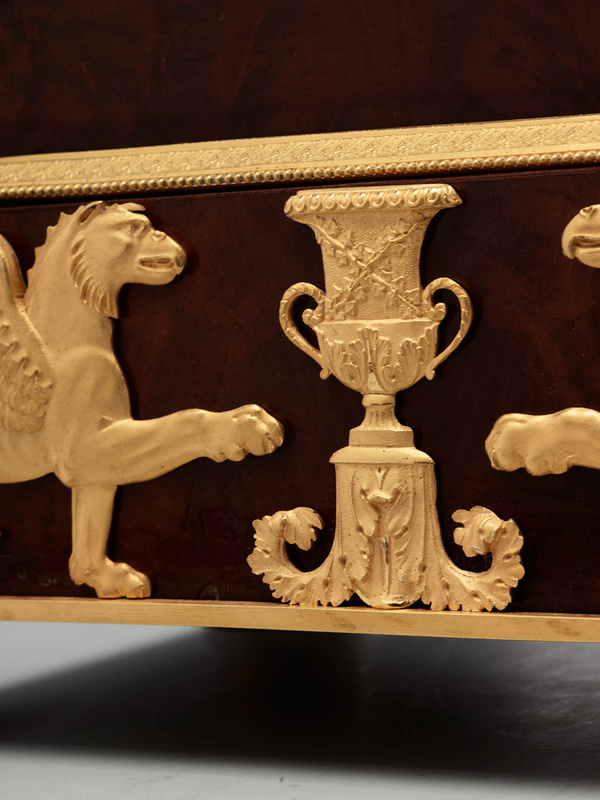 The mahogany case is decorated with extremely beautiful cast and gilded bronzes, including two griffons facing an urn of victory. 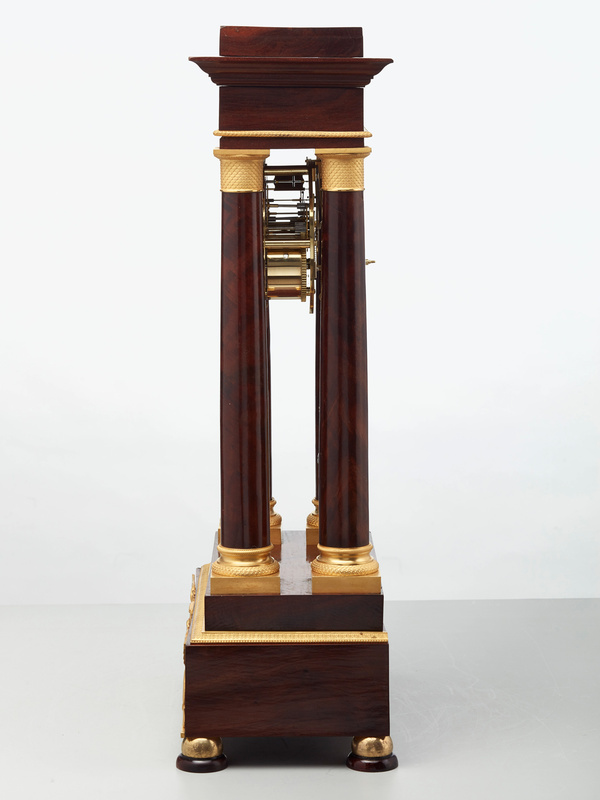 The clock is mounted on four beautiful bun feet. 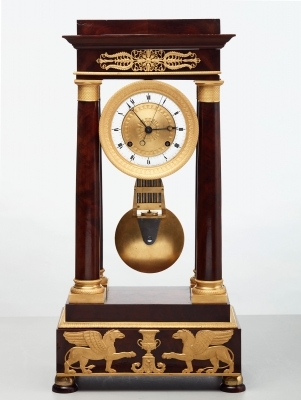 The gilt dial with enamel chapter ring with Roman numbers, steel ‘brequet’ hands, signed Montassier a Angouleme. 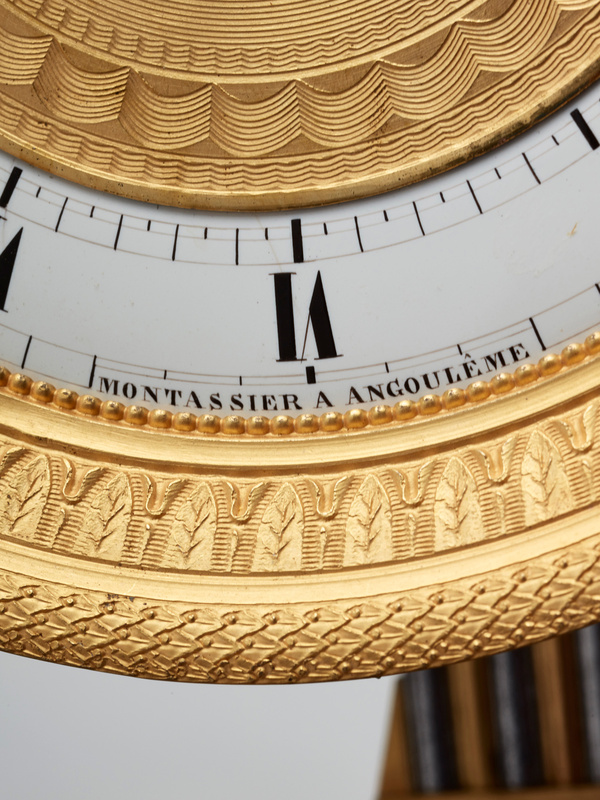 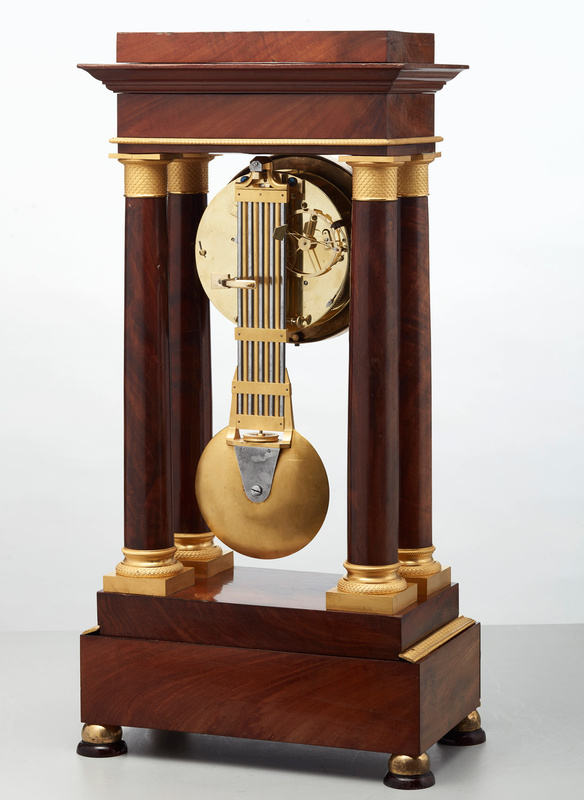 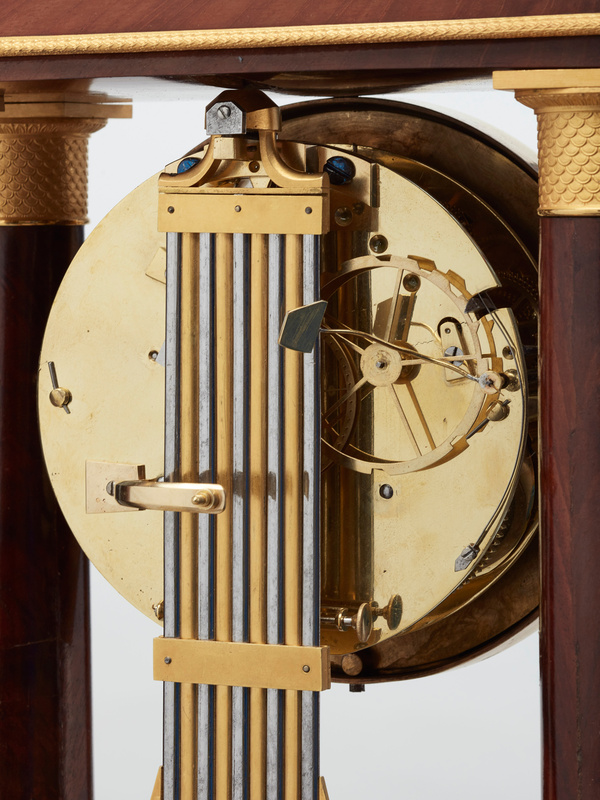 The countwheel striking movement on bell, with pinwheel escapement with a strong good looking compensated pendulum. 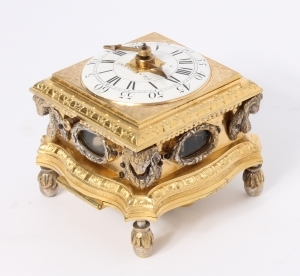 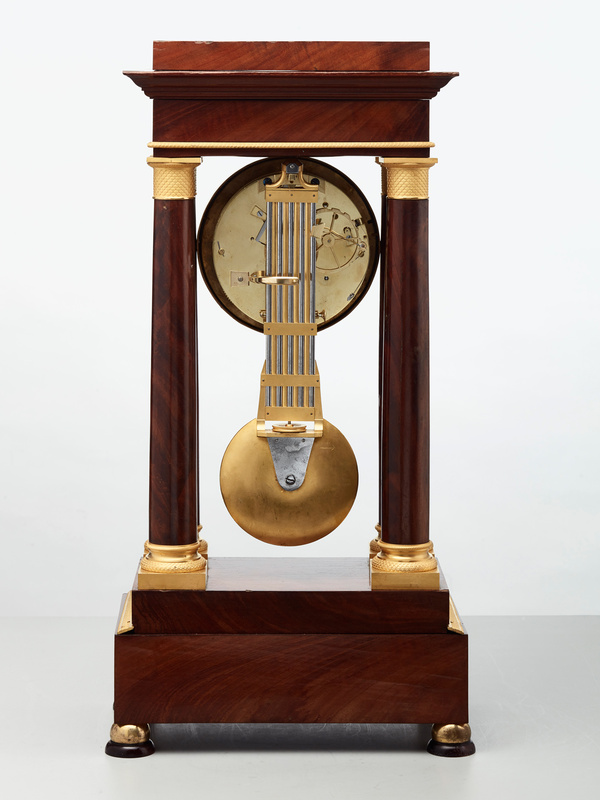 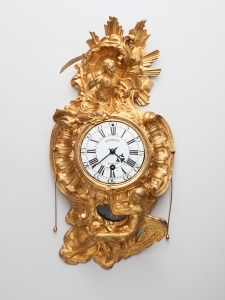 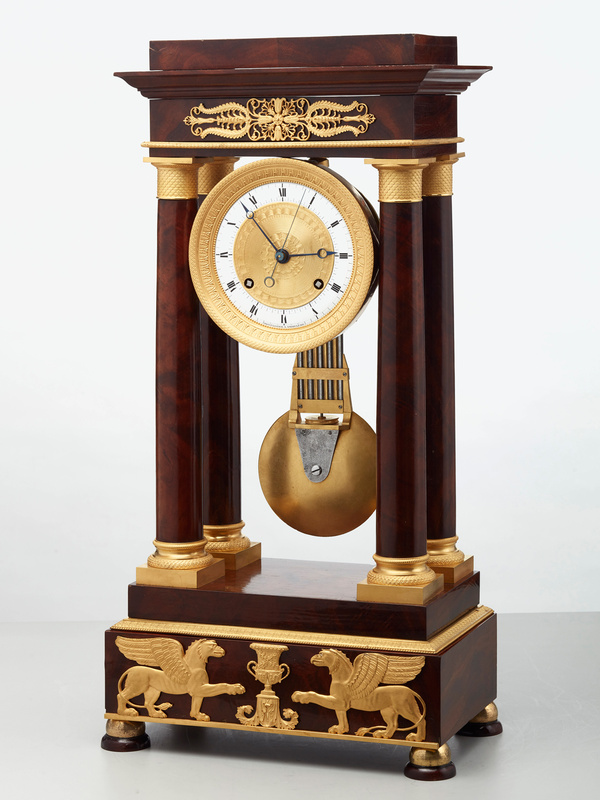 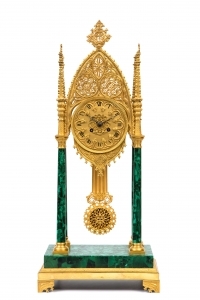 This clock would dramatically enhance any Empire interior.